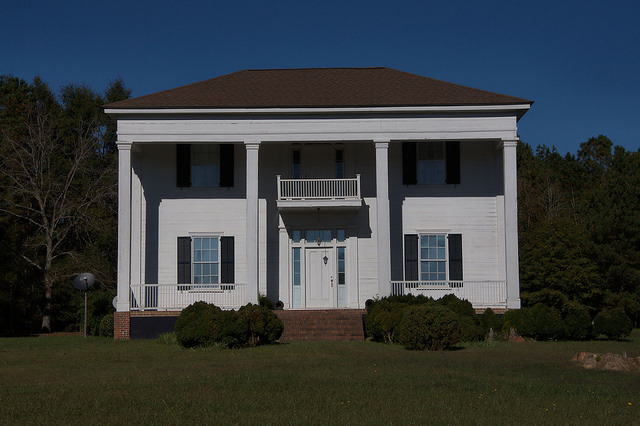 This imposing Greek Revival plantation house was built by James V. Drake, a descendant of Sir Francis Drake. Variously known as the Drake-Arnold-Carter and Drake-Arnold-Callaway House for subsequent residents, the house is owned by local historian and preservationist Jim Carter. I wish the current owner of the Drake house would publish photos of the inside.